Dr. David A. Thomas has assumed office as the 12th President of Morehouse College, ushering in a new era of leadership for Morehouse, the nation’s largest and most prestigious liberal arts college for men. His appointment in October 2017 ended a six-month period of leadership transition at the College that began in April when the Board announced its national search for a new Morehouse President. President Thomas was chosen as the top candidate because of his visionary leadership as a business school administrator and his proven track record in fundraising, which includes a capital campaign that raised more than $130 million in five years for Georgetown McDonough. President Thomas has 30 years of higher education experience. He holds a Ph.D. in Organizational Behavior Studies and a Master of Philosophy in Organizational Behavior degree, both from Yale University. He also has a Master of Organizational Psychology degree from Columbia University and a Bachelor of Administrative Sciences degree from Yale College. President Thomas is the former H. Naylor Fitzhugh Professor of Business Administration at Harvard Business School and the former Dean of Georgetown University’s McDonough School of Business. In addition to his work as an educator, Thomas serves as a member of the Board of Directors of DTE Energy, the American Red Cross, and the Posse Foundation. 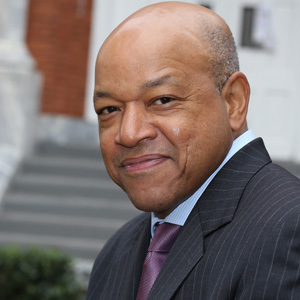 He is the recipient of Washington Business Journal’s 2014 “Minority Business Leader of the Year” award and the National Executive Forum’s “Breaking Through: 2020, Beacon Award,” among other honors. Over the past 30 years, he has also worked as a consultant on issues relating to organizational change, and diversity and inclusion for 100 of the Fortune 500 companies as well as major governmental and nonprofit organizations.